Pugs are glorious little companions, but because they love us so much, we think they tend to take our departures very personally. Even the daily routine of leaving for work results in Nickie moping and looking depressed that her companions are going somewhere without her. We like to think she imagines we go on grand adventures while we’re away, but really it’s just work and mundane things like trips to the grocery store. 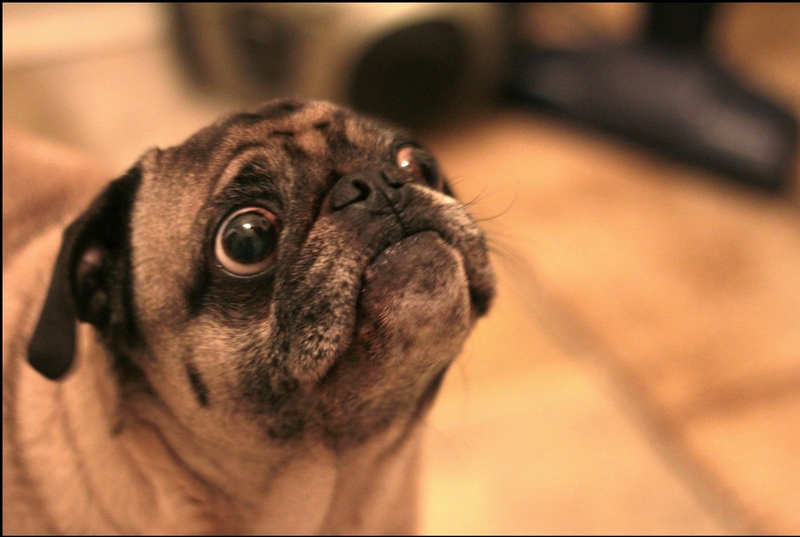 This pug has certainly perfected the sad pug puppy dog eyes! There are lots of things that need to get done at work and around the house. We’ve decided that today, it’s time to get serious and get some of these long-standing “to-do” items off our list. 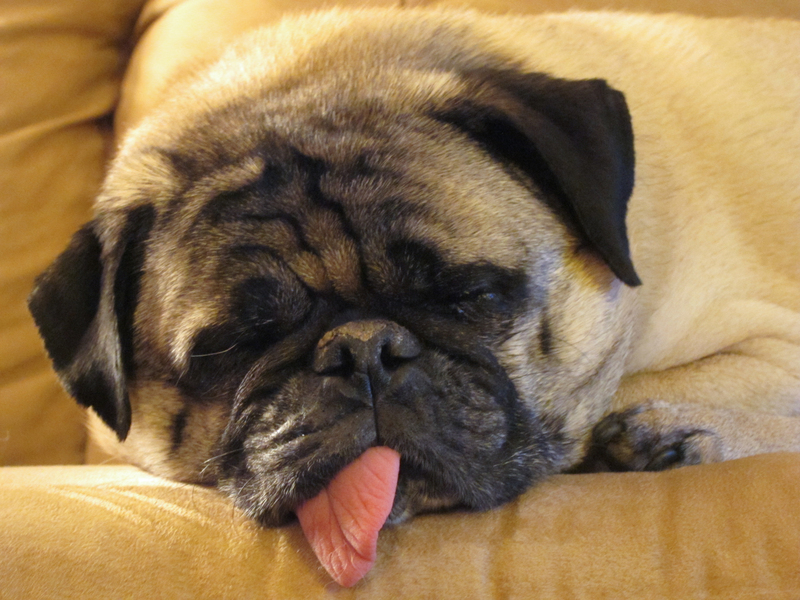 Nickie will probably nap through all the excitement, but this pug certainly looks like it knows how to buckle down and get things done. 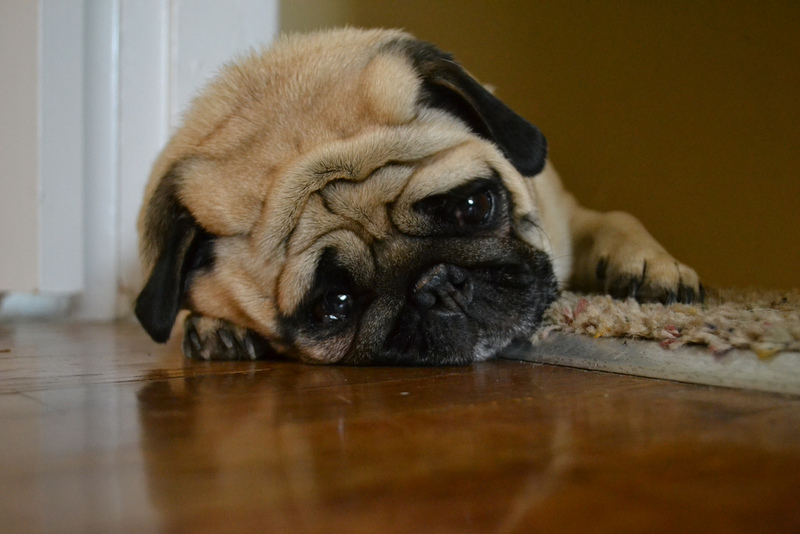 This pug’s face says it all, perfectly conveying the feeling of a Monday morning. 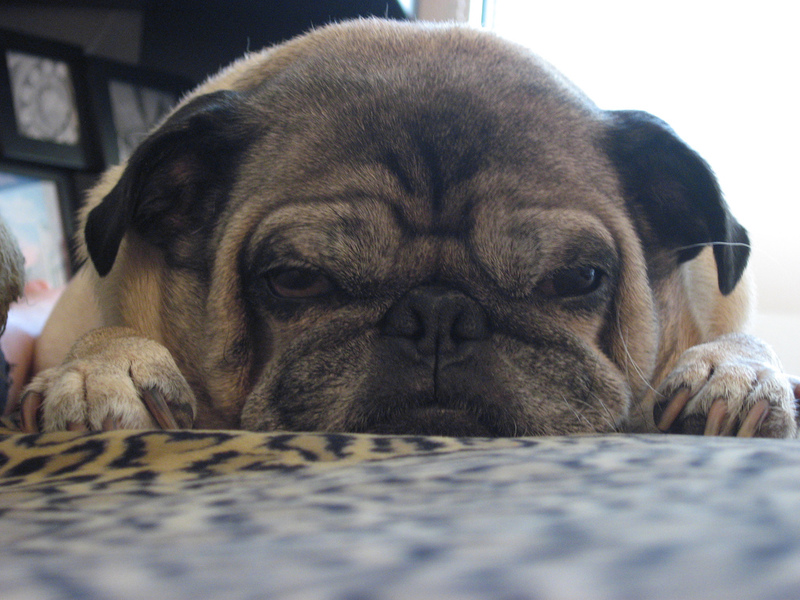 It’s okay pug, we too are not big fans of Mondays. We know it’s important to take some time on the weekends to relax and enjoy the great outdoors. 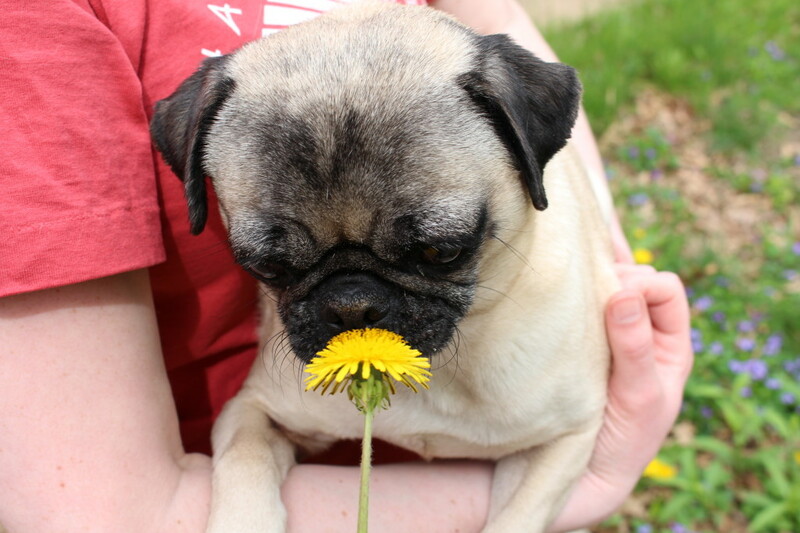 Here, Nickie is enjoying one of the oh-too-familiar scents of springtime. Dandelions in our yard. Let this year’s lawn-care battle begin! It’s that time of year where the weather is starting to get warmer and all the creepy, crawly things from outside are starting to find their way into our house. 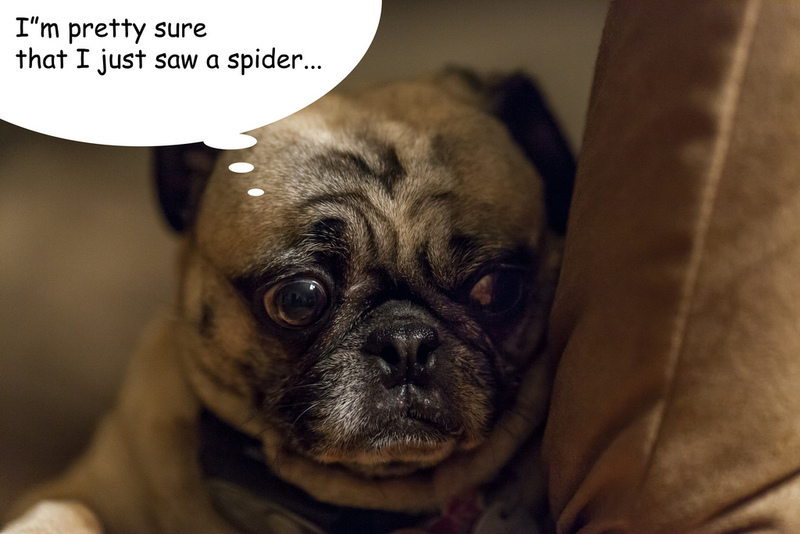 Nickie is not much of a spider hunter, and it looks like this pug named Gracie might be more afraid of spiders than even we are! 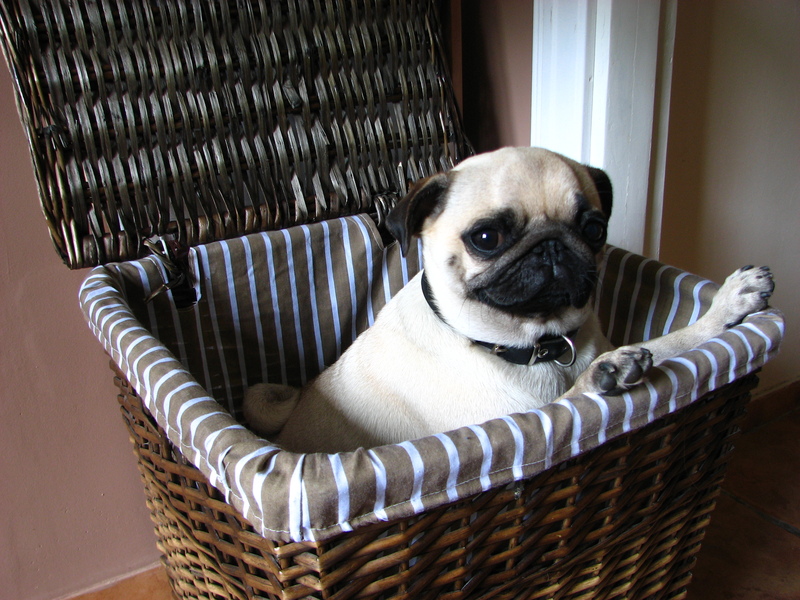 This adorable little pug is just popping up to wish everyone a happy Friday and a wonderful weekend! What Do Mean It’s Not Friday Yet??? This week has been feeling like a particularly long week. 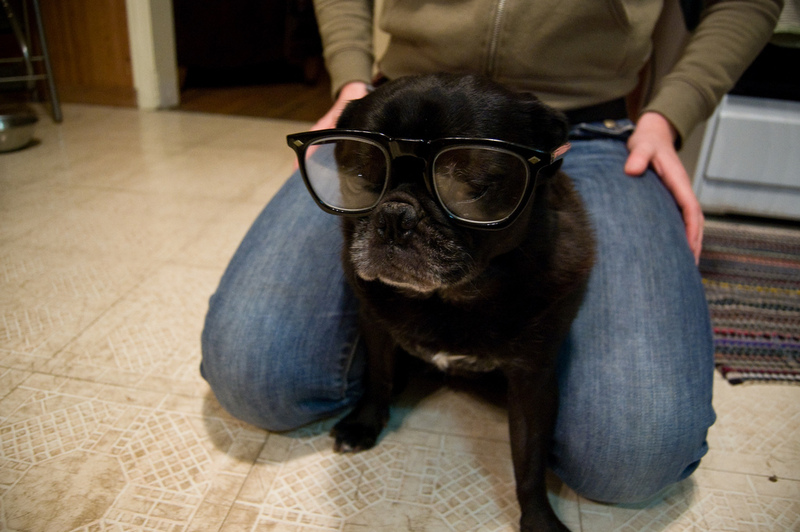 We’re pretty sure it should be Friday already, and it looks like our pug friend here agrees. Our calendars must be broken. We were enjoying some fruit for breakfast, and Nickie couldn’t seem to take her eyes off us. I think she’s trying to convince us she hasn’t eaten breakfast yet, but we’re not falling for it! 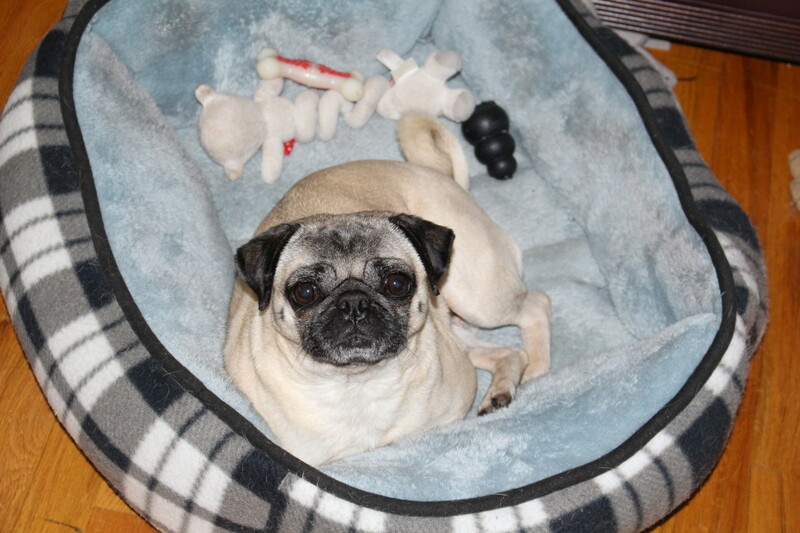 Nickie had a good, sudsy scrub down before we put on her flea and tick solution for the month. As you can probably tell, she is not a fan of bath time, but she puts up with us for the treats that come afterwards. 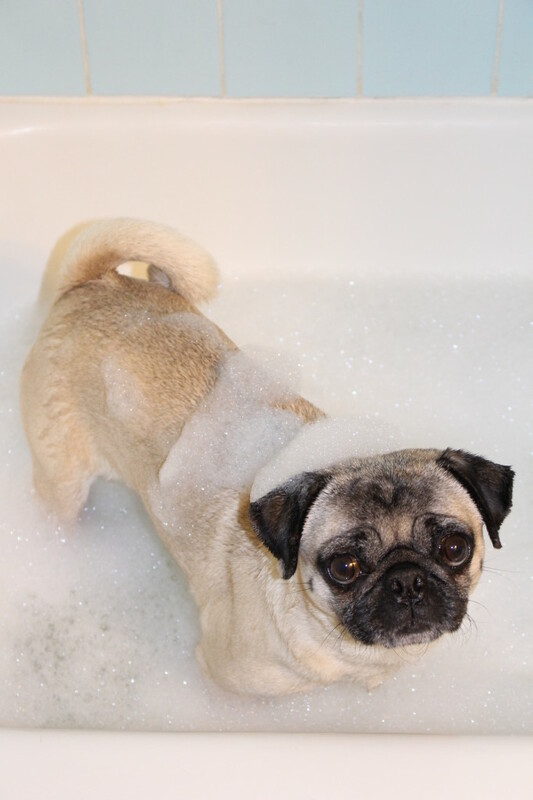 It’s a good thing pugs don’t need daily baths!